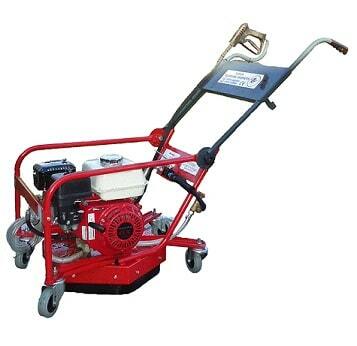 It combines the Rotowash Professional and Hurricane P2 pressure washer into one machine. 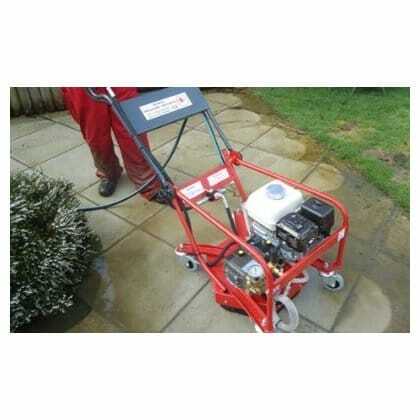 Making it easy to transport and the perfect cleaning solution for municipal cleaning such as pavements, walkways and sports grounds such as tennis courts and tracks and car parks. It has the added bonus of being able to remove the pressure washer from the Rotowash and use just as a pressure washer. The Combi will draw water from 7m using 3/8 hose and 11m using ½ hose.